5 Powerful Vitamin D Benefits That Make It a "Super-Vitamin"
Modern research is revealing that vitamin D’s benefits extend far beyond what we once thought. Just a few years ago, vitamin D was simply known as the “bone vitamin,” and even today many physicians still believe it essential only for bone health. Research shows otherwise, however: insufficient vitamin D levels increases the risk of many types of disease, including osteoporosis, heart disease, stroke, some cancers, type 1 diabetes, multiple sclerosis, tuberculosis and even the flu, but in this article we’re going to focus on the positive. That is, we’re going to look at some of vitamin D’s amazing benefits and why I believe it’s one supplement that just about everyone should be taking every day. So let’s see what the literature says about vitamin D’s benefits. What Are Good Sources of Vitamin D? What do you think of vitamin D's benefits? Have anything else to share? Let me know in the comments below! 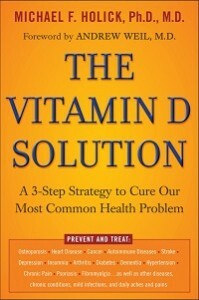 As I noted earlier, it was once believed that maintaining optimal vitamin D levels was only for bone health. Well, thanks to the hard work of many scientists, including the notable Dr. Michael Holick, we now know that nearly every type of tissue and cell in the body has vitamin D receptors, which means its actually an essential hormone that plays a vital role in a large number of physiological processes. When we ingest vitamin D or produce it in the skin (as a result of sun exposure), it gets converted into its active form, 1 ,25-dihydroxyvitamin D, or vitamin D3. This substance then interacts with and supports virtually every tissue type in your body, including your heart, brain, and even fat cells. Furthermore, research has demonstrated that vitamin D also regulates genes that control immune function, metabolism, and even cell growth and development. As you can see, this vitamin deserves a lot more attention than it has been given over the last couple of decades. Fortunately, however, vitamin D’s vital importance and amazing benefits are becoming more and more widely known and accepted. Let’s look at five of these benefits now. Vitamin D deficiency goes hand in hand with cardiovascular disease and is considered an independent predictor for circulatory diseases like heart attacks and strokes. In this study, researchers measured vitamin D levels of 1783 healthy middle-aged subjects (964 men and 819 women) and found that women with vitamin D levels in the top one-third of the subjects analyzed had 68% lower risk of heart attack compared with those in the bottom one-third. In men, researchers found 44% lower risk in the upper third compared to the lower. Conversely, research shows that a vitamin D deficiency increases the risk of dying of heart disease by 42% and the risk of stroke by anywhere from 49 to 64%. The reason vitamin D levels play such a big role in cardiovascular health is heart muscle and the circulatory system are teeming with vitamin D receptors, which indicates how much they rely on this hormone for maintaining optimal health and function. The research is clear: maintaining optimal levels of vitamin D has a profound effect on heart and circulatory health. Research shows that a vitamin D deficiency nearly doubles your risk of reaching a “pre-diabetic” level of insulin resistance and ultimately progressing to type II diabetes. Simply ensuring you have sufficient vitamin D in your blood dramatically reduces your risk of developing type II diabetes, but research shows it can even benefit those struggling with insulin-related problems (including those with the disease). For instance, in this study, diabetic adults supplemented with 2,000 IU of vitamin D per day for 16 weeks and displayed dramatically improved glucose control, insulin response, and hemoglobin A1c levels. This study demonstrated similar results with 1,000 IU per day. Preserving insulin sensitivity not only helps maintain optimal overall health but also helps with building muscle. Research shows that vitamin D even has other muscle-building properties: it magnifies the muscle-building effects of leucine, which is why I take mine with my post-workout meal. Research shows that insufficient vitamin D levels dramatically increases the risk of cognitive decline, including Alzheimer’s disease and non-Alzheimer’s dementia. This is because the brain is replete with vitamin D receptors and relies on the hormone to combat various destructive processes. 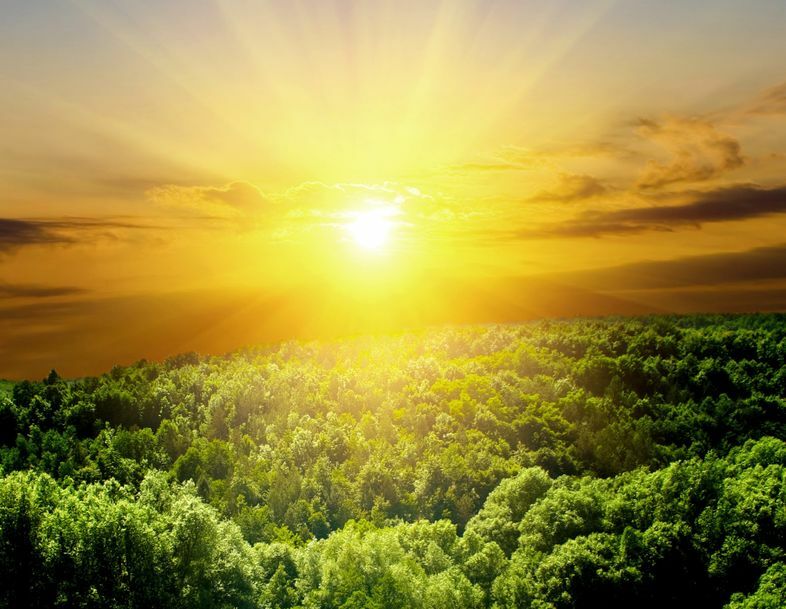 Furthermore, vitamin D plays a vital role in growing new nerve cells, transmission of nerve impulses, and maintaing “brain plasticity,” which is vital for functions related to learning and memory. Vitamin D is so powerful in the brain that research shows it can even reverse the neurodegenerative decline associated with Alzheimer’s disease and prevent deterioration in Parkinson’s disease patients. Having low levels of vitamin D drastically increases the risk of developing various forms of cancer, including those of the breast, thyroid, and bladder. These correlations are due to the fact that vitamin D receptors regulate a number of processes related to the immune response to cancer cells, tumor growth, and inflammation. The anti-carcinogenic powers of vitamin D can be seen in studies that demonstrated vitamin D supplementation reduces the tumor-promoting effects of estrogen, decreases the incidence of prostate cancer tumors, and decreases levels of the tumor-promoting protein beta-catenin while increasing the tumor-suppressing protein known as APC. Immune cells rely on vitamin D to regulate how they respond to threats in the body, first by attacking and destroying, followed by “cleaning up” and returning to a state of dormant readiness. This is why research shows that low levels of vitamin D accelerates the onset and progression of autoimmune diseases like type I diabetes, psoriasis, rheumatoid arthritis, and multiple sclerosis. 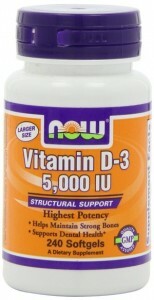 It’s estimated that nearly 1 billion people have inadequate vitamin D levels for supporting optimal health. Yikes! Research shows that 25% of Americans have insufficient levels of vitamin D and 39% are deficient, which means a surprising 64% of Americans have inadequate levels of vitamin D.
What gives? Why are do so many people have low levels of vitamin D? Well, a major reason for this is the fact that it’s very tough to get adequate amounts of vitamin D from the diet alone, and unless you have time to sunbathe every day, your only option is supplementation. But we’ll get to that in a minute. According to the Institute of Medicine, 600 IU per day is adequate for ages 1-70 (and 800 IU per day for 71+), but these numbers have been severely criticized by scientists that specialized in vitamin D research. They call attention to the over 125 peer-reviewed studies that indicate such recommendations are too low, and are likely to lead to vitamin D deficiencies. A committee of the U.S. Endocrine Society recently convened to review the evidence, and concluded that 600-1,000 IU per day is adequate for ages 1-18, and 1,500-2,000 IU per day is adequate for ages 19+. According to Dr. Michael Holick, however, 2,000 IU per day is suboptimal. Research shows that 2,000 IU per day is the minimum needed to maintain vitamin D sufficiency (30 ng/mL), but Dr. Holick maintains that optimal vitamin D status is actually between 50 and 80 ng/mL, which would call for a daily intake closer to 5,000 IU. Considering the fact that overdosing isn’t likely to occur until intake skyrockets to 40,000 IU per day for several months, or 300,000 IU in a 24-hour period, these are very safe recommendations. So, I recommend you start at 2,000 IU per day and then get blood tested for your 25-hydroxyvitamin D levels (the usable form of vitamin D your body creates) to ascertain your vitamin D status. Chances are you’ll come in below 50 to 80 ng/mL and research shows that you need to increase intake of vitamin D by 100 IU to increase blood concentration by1 ng/mL. For instance, if your test came back at 30 ng/mL and you wanted to raise it to 50 ng/mL, you would need to increase your current intake by 2,000 IU. As you may know, our body can’t produce enough vitamin D to maintain adequate levels–we have to get additional amounts from our diet, sun exposure, or supplementation. Let’s look at each of these sources separately. Vitamin D is hard to come by in nature. You find very small amounts in various foods like beef liver, cheese, and egg yolks, and slightly larger amounts in fatty fish like salmon, tuna, and mackerel, which have anywhere from 50 to 150 IU per ounce. Cod liver oil is by far the best food source with over 1,300 IU per tablespoon. You’ll find vitamin D added to various “fortified” foods like milk, breakfast cereals, orange juice, and margarine, but reaching an adequate intake of vitamin D through these foods alone isn’t feasible if you’re trying to follow a sensible meal plan. Now, when our skin is exposed to UVB rays, they interact with a form of cholesterol in the body to produce vitamin D. The more skin that is exposed to the sun, and the stronger its rays, the more vitamin D you produce. This is why I recommend you simply supplement with vitamin D. It’s cheap, effective, and gives you maximum flexibility in your diet (personally I’m not a fan of salmon, mackerel, or beef liver). What do you think of vitamin D’s benefits? Have anything else to share? Let me know in the comments below! Muscle Memory Is Real and Here’s How It Helps You Build Muscle Fast These Are the Best Strength Standards on the Internet 24 Pieces of Advice I’d Give My Younger Self Muscle for Life Success: Darrel Scott A. Muscle For Life Success: Daniel F. Muscle For Life Success: Lanny W.
Motivation Monday: Failure Is Not Okay. Stop Celebrating It.